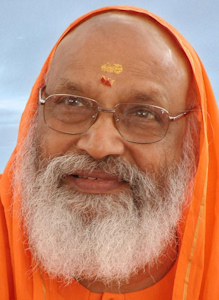 In case anyone has not yet heard, Swami Dayananda passed away yesterday, the 23rd September, at 22.18 IST in Rishikesh. Unquestionably the greatest teacher of Advaita in our lifetimes, he must certainly rank as one of the most important ever. Fortunately the legacy of his own writings and transcriptions, and that of the institutions he founded and the teachers he taught, will live on to the benefit of future seekers. As a topical example of his teaching, I would like to reproduce the following pieces on the subject of manonAsha. 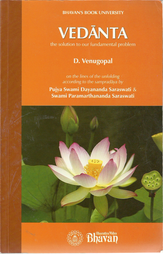 These are extracted from the excellent book already recommended in these pages: ‘Pujya Swami Dayananda Saraswati – his uniqueness in the vedanta sampradaya’ by D. Venugopal. Part 2 of a 3-part essay by Dr. K. Sadananda, AchArya at Chinmaya Mission, Washington. 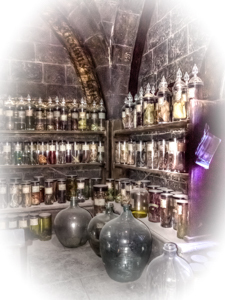 An objective scientist provides a narrow definition for science as that which pertains only to the objectifiable entities using the objective tools. For example, he says that the existence of God cannot be scientifically established as His existence cannot be proved. Obviously the proof that a scientist is looking for is perceptibility, using objective tools of investigation which themselves are limited to only objectifiable entities. He presumes that God is also an object that can be precisely defined in order to differentiate Him from the rest of the objects in the universe, and is therefore quantifiable using perceptual data. If an object cannot be established by using his objective tools, then he asserts that any assumption of its existence becomes blind belief or at the most speculative. You may recall my earlier Post on “Two Genres of Thought” in Dec 2013. Spontaneous thoughts, intuitions, dreams and quick impressions — we all have these seemingly random thoughts popping into our minds on a daily basis. The question is what do we make of these unplanned, spur-of-the-moment thoughts? Do we view them as coincidental wanderings of a restless mind, or as revealing meaningful insight into ourselves? A research team from Carnegie Mellon University and Harvard Business School set out to determine how people perceive their own spontaneous thoughts and if those thoughts or intuitions have any influence over judgment. Published in the Journal of Experimental Psychology: General, their research found that spontaneous thoughts are perceived to provide potent self-insight and can influence judgment and decisions more than similar, more deliberate kinds of thinking — even on important topics such as commitment to current romantic partners. The (perceived) meaning of spontaneous thoughts. Morewedge, Carey K.; Giblin, Colleen E.; Norton, Michael I.